They just cannot help themselves being bias that is! On an item on a new source of gas from shale in the USA they only interviewed an man from Friends of the Earth who was against it as it was still a fossil fuel which wouldn't help stop climate change. So NO balance was shown as of course the BBC can still not let go of the Global Warming story and still tries to weave in a story if they possbly can. The only answer is for the duped public to refuse to pay their TV licence fee. That would make the Guardian reading BBC types sit up and take notice. # 069 - WAR - More evidence of BBC bias. 1. So Hunt MP stated that the BBC is filled with more LibDim and NuLiebour voters than CONservatives. Well that is a statement of the obvious but it doesn't stop some BBC type indignantly saying it is no ones business how he votes. He is right of course and Hunt said no different it just that he suggests that not many in the BBC vote CONservative - and that is the obvious truth. 2. 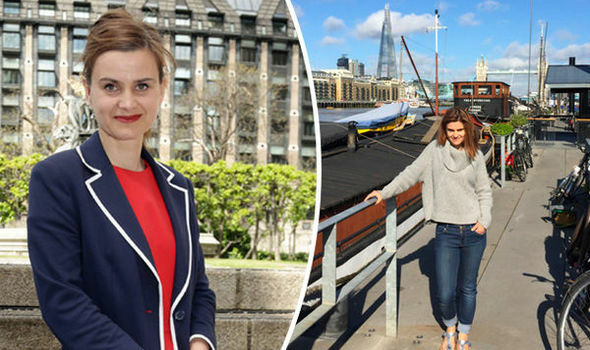 The good old Daily Mail on Saturday 18th carries a story that Mark Thompson the BBC's Director General ( on around £800,000 at the last count) admitted recently that the BBC had indeed been nervous about tackling sensitive issues. This admission comes only a few months after he accepted the Corporation had been guilty of a a massive left wing bias . His latest comments made during a speech at the Institute for Government on Thursday night follow a 2007 BBC Trust report which suggested news coverage had sidestepped immigration and Europe. For years my complaint letters to the BBC where met with solid denials that they were bias and yet now their own boss say they have been. The trouble is they still ARE but they just don't see it insulated as they are behind their copies of the Guardian! # 068 - WAR - 6 pm BBC 1 news Friday 10th December. Another classic piece of BBC 1 bias yesterday on the 6pm news. The BBC is charged by its Royal Charter not to be bias so when covering major news items, like Climate Change, they really should interview both sides of the argument. Yesterday they interviewed the Government scientist on the pro side who was allowed to repeat the lie that the temperature is rising when in fact it has gone down in the last few years and to speak on the sceptic's side they had some amateur climate enthusiast. So no balance there then! Why does the BBC never interview a sceptic like the journalist Christopher Booker? The BBC is still desperate to plug climate change whenever they can and still speak as if it is a fact. Meanwhile the evidence is now clear for those with eyes to see that the whole Climate Change industry is a complete scam. The bias BBC is going to have some serious egg on its face when the orthodoxy changes and climate change is seen for what it is a green scare story to promote an increase in the green agenda and budget. # 067 - WAR - Radio 2 news @4pm today. I'm always amused when the bias BBC shoots itself in the foot! Lead item on Radio 2 news at 4pm today was a student's reaction to the pending vote in Parliament. Typically the bias BBC only wheeled out one student to interview, so giving no balance. Then to compound the problem the bias BBC, no doubt following their own PC guidelines, interviewed a girl, who from her accent, was I assume coloured! The BBC seldom now interviews with the majority indigenous whites? Well she told us she was rioting 'so LIKE her younger relations could LIKE benefit from LIKE further education LIKE' etc etc! Clearly this student had been very poorly educated no doubt as a product of our state system. Hope your foot gets better soon bias BBC!